Over the years Ireland has produced some of the world's finest rock bands and some of the most potent rock music the world, yet few Irish rock bands – we can only think of one other – has been as loved as the great and much-missed Thin Lizzy. In Live and Dangerous that made No.2 in the UK album charts in 1978 they produced one of THE greatest live albums in rock. They had six other top 10 UK chart albums including Black Rose (A Rock Legend) and Bad Reputation it all started in 1973 with their debut single, 'Whisky in the Jar' which made No.6 on the UK singles chart. The band started out in Dublin in 1969 when one night Eric Bell (guitar, vocals) and Eric Wrixon (keyboards), both ex-members of Van Morrison's band Them, went to see a band called Orphanage play and were so impressed with the band's rhythm section of Phil Lynott (bass, vocals) and Brian Downey (drums), that they approached them after their gig and suggested the four of them form a group. As simple as that apparently. Parlophone Ireland signed them up for one low-key, Lynott-penned single called 'The Farmer', after which they became a trio when Wrixon left, and then signed to Decca and moved to London. Their debut album, Thin Lizzy, was released in April 1971 followed by constant gigging and a second album, Shades of a Blue Orphange, a year later. Both records had a distinct Irish folk feel about them rather than the hard rock sound that they subsequently fashioned but neither made a dent on the charts, although they now had an impressive repertoire of songs, a growing reputation as a superb live band and were starting to pick up more and more 'underground' radio play. All they needed was a lucky break, which duly came along in November 1972 when Thin Lizzy's reverb-drenched, riff-loaded arrangement of an old Irish folk ballad, 'Whiskey In The Jar', was released as a single and reached No. 6 in the charts the following February. A month later, determined to capitalise on their breakthrough, a second single, 'Randolph's Tango', came out and unfortunately failed to make anywhere near the same impression. Work soon began though on the band's third album, Vagabonds Of The Western World, which although not their most successful commercially, has stood the test of time exceptionally well and captures a moment in the band's development when they managed to absorb their distinct Irish roots into a hard-edged, powerful rock format and deliver a unique and compelling sound. This was also expressed in Jim Fitzpatrick's sleeve design, which combined a pop-art, vaguely sci-fi themed front cover with a shamrock on the back. Phil Lynott's vocals were always a cut or two above most rock vocalists of the day – being less histrionic and more expressive – a perfect vehicle for his thoughtful, soulful lyrics. And as a trio their sound was tight and sparse with a minimum of extra instrumentation. Although it didn't make enough immediate impact to chart, Vagabonds was altogether a highly impressive album that garnered positive reviews in the press. It spawned another single, 'The Rocker', that failed to help promote it, but it was the curious absence of 'Whiskey In The Jar' from the original album that might have been more damaging – despite its success the band never deemed it representative enough of their music and distanced themselves from it. 'Randolph's Tango' and its b-side was also omitted but one wonders how much better the album would have faired had it contained the band's only hit to date. When Vagabonds Of The Western World was re-released on CD in 1991 both singles and their b-sides were included and a further 2CD-set reissue in October 2010 also contained a wealth of bonus and BBC Radio material – John Peel, Bob Harris and In Concert sessions recorded around that time. In the last days of 1973 and in the middle of a UK tour an exhausted and somewhat disillusioned Eric Bell left the band and was replaced temporarily on guitar by ex-Skid Row member Gary Moore who finished the tour with them and remained until April 1974. During that time they also recorded three songs that appeared on their next album, Nightlife, released in November 1974. 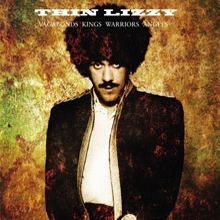 By now they'd acquired two temporary guitarists in Andy Gee and John Cann in a pioneering twin lead guitar line-up, and switched record labels to Vertigo, but Nightlife and the album after that, Fighting, although further consolidating Thin Lizzy's position as a great rock band and offering more evidence of Phil Lynott's prowess as a songwriter, couldn't manage a chart placing. Nightlife in particular suffered from lame production work that didn't reflect the intensity and power of their live shows. It was only a year later, in March 1976, after more personnel changes on guitar, which saw both Scott Gorham and Brian Robertson join for another powerful twin-guitar attack, that the acclaimed Jailbreak made the long-awaited big breakthrough and reached No. 10 in the album chart, and at the same time they had their second ever Top 10 single with 'The Boys Are Back In Town'. For the next 10 years the band enjoyed the enormous success that all their hard work and perseverence deserved. Johnny The Fox was released in October 1976 and reached No. 11 and then the four albums after that were all Top 10 entries. Bad Reputation (September 1977), Live And Dangerous – voted the best live album of all time by Classic Rock magazine (June 1978), Black Rose (A Rock Legend) (April 1979) and Chinatown (October 1980) finally established Thin Lizzy, with Phil Lynott very much the heart and soul of the band, as a major international rock act. Touring worldwide had been relentless but had taken its toll. Brian Robertson pulled out of a US tour after injuring his hand in a fight and was replaced by Gary Moore who, not for the last time, took over guitar duties. When Moore left again they were reduced to a trio for the Bad Reputation album and then Brian Robertson rejoined for one more year of recording and touring including the 1977 Reading Festival before going off to form Wild Horses. With Moore and Robertson playing revolving doors for the last time, Moore rejoined the band in August 1978. There were other personnel changes as exhaustion from life on the road and the usual strife and tensions within rock bands took their toll, and at one point they had three lead guitarists in formation at the front of the stage. A Greatest Hits album, The Adventures Of Thin Lizzy, was released in April 1981 and reached No. 6 in the chart as well as achieving gold status. The album that followed, Renegade, sold disappointingly though and that, combined with the stress of life on the road and the unstable line-up, led Lynott to declare that their next album, Thunder And Lightning, would be their last and that the tour to promote it would be a farewell one. Of course nothing is guaranteed to generate sales and interest more than extinction or the threat of it so Thunder And Lightning naturally became one of the band's biggest-selling records, reaching No. 4 in the album chart, and the tour went on for almost a year. Thin Lizzy's last UK date was headlining on the last day of the Reading Festival in August 1983 and their final gig came seven days later at the Monsters of Rock Festival in Germany. A live double album, Life, was released two months later and reached No. 29 but really it was all over for the band. They had enjoyed a period of phenomenal success in the 1970s and had been one of the era's greatest rock bands without ever reverting to the stereotype of the heavy-rock band with screaming vocals, wailing, self-indulgent guitar and plodding rhythm section. Thin Lizzy stood out from the pack and had all of their considerable success on their own terms. Since 1980 Phil Lynott had also been making records on his own – he made two solo albums in all – but without too much success, and when Thin Lizzy split up he formed a short-lived band called Grand Slam before deciding to concentrate more on his solo career. With Gary Moore he had a No. 5 single with 'Out In The Fields' in May 1985 but, tragically, that was to be his last moment of glory: he died of drug-related illnesses on 4 January 1986 leaving the rock world and music in general bereft and diminished. Lynott and Thin Lizzy were not forgotten though. There have been numerous 'Best Ofs' and 'Greatest Hits' compilations released and various reunited versions of the band have appeared over the years, one as early as four months after Lynott's death when a Gary Moore-led Thin Lizzy played at the Irish Self-Aid concert in Dublin. As recently as 2011 a Thin Lizzy containing original drummer Brian Downey and Scott Gorham on guitar were playing live and contemplating a new album although this now looks as though it might not be released under the Thin Lizzy name out of respect to Phil Lynott. Which is fitting really because the genuine Thin Lizzy, the band that did so much to breathe vitality and originality into a cliche-ridden genre, especially in their 1970s heyday, was clearly Lynott's band. After achieving a reluctant Top Ten hit with a rock version of the traditional Irish pub ballad "Whiskey in the Jar," Thin Lizzy began work on Vagabonds of the Western World -- their third, and ultimately last album for Decca Records. The single's surprise success gave the band bargaining power to demand more money and time to record, resulting in their first sonically satisfying album. The environmentally-conscious R&amp;B of "Mama Nature Said" kicks things off with Eric Bell leading the way on slide guitar. The overblown "The Hero and the Madman" and the tepid "Slow Blues" threaten to derail the proceedings, but all is well again when the band break into their first bona fide classic "The Rocker." Brimming with attitude and dangerous swagger, Lynott sets the tone as drummer Brian Downey explodes into life for the first time on vinyl. 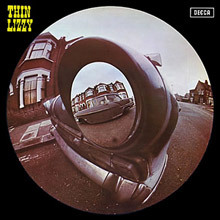 Lizzy's Irish heritage permeates the title track, and the beautiful "Little Girl in Bloom" is absolutely flawless, featuring Lynott, the poet, in top form. In many ways, Vagabonds actually rocks harder than Lizzy's next album, the soulful Night Life -- often considered the band's first "important" record. And with the inclusion of four non-LP singles, including the aforementioned "Whiskey in the Jar," this package becomes even more appealing. 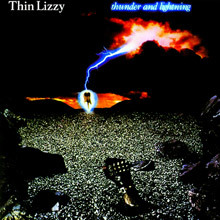 Thin Lizzy's final studio release, Thunder and Lightning, was their most consistent album since 1979's Black Rose. Guitarist John Sykes replaced Snowy White, and the new blood must have inspired Lynott and company to write some of their best compositions in years. Although a pop-metal production hinders the tracks, there's more of a harder edge present than on their last release, Renegade. While the title track served as the ensuing tour's raging opener, half-baked lyrics detailing a fistfight and an unwarranted synth-solo weakens what should have been a straight-ahead rocker. But such heavies as "This Is the One" and "Cold Sweat" suit the band much better. Lizzy takes a stab at dance-rock with "The Holy War," while laying back with the tranquil "The Sun Goes Down" and the album's underrated highlight, the melodic "Bad Habits." Like Lizzy's other '80s releases, filler is present -- "Someday She Is Going to Hit Back" and "Heart Attack" and disappointingly, guitarist Scott Gorham abandons his trademark harmony leads of yesteryear in favor of '80s-era high-tech shredding. Not Lizzy's best release, but a definite improvement over their other '80s studio output. 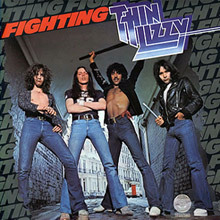 Thin Lizzy found their trademark twin-guitar sound on 1975's Fighting, but it was on its 1976 successor, Jailbreak, where the band truly took flight. Unlike the leap between Night Life and Fighting, there is not a great distance between Jailbreak and its predecessor. 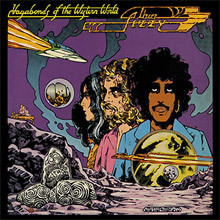 If anything, the album was more of a culmination of everything that came before, as Phil Lynott hit a peak as a songwriter just as guitarists Scott Gorham and Brian Robertson pioneered an intertwined, dual-lead guitar interplay that was one of the most distinctive sounds of '70s rock, and one of the most influential. Lynott no longer let Gorham and Robertson contribute individual songs -- they co-wrote, but had no individual credits -- which helps tighten up the album, giving it a cohesive personality, namely Lynott's rough rebel with a heart of a poet. Lynott loves turning the commonplace into legend -- or bringing myth into the modern world, as he does on "Cowboy Song" or, to a lesser extent, "Romeo and the Lonely Girl" -- and this myth-making is married to an exceptional eye for details; when the boys are back in town, they don't just come back to a local bar, they're down at Dino's, picking up girls and driving the old men crazy. This gives his lovingly florid songs, crammed with specifics and overflowing with life, a universality that's hammered home by the vicious, primal, and precise attack of the band. Thin Lizzy is tough as rhino skin and as brutal as bandits, but it's leavened by Lynott's light touch as a singer, which is almost seductive in its croon. This gives Jailbreak a dimension of richness that sustains, but there's such kinetic energy to the band that it still sounds immediate no matter how many times it's played. Either one would make it a classic, but both qualities in one record makes it a truly exceptional album. Life Live? More like Life-less. 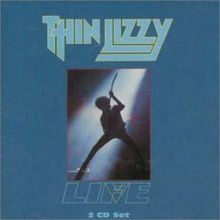 After Thin Lizzy wrapped up their successful "farewell" tour, their second live album was issued. It was originally supposed to be issued during the tour, but extensive overdubbing and nitpicking pushed the album's release toward year's end, after the publicity from the tour had died down. The two-LP Life Live is not even close to being a worthy successor to its exceptional predecessor, 1978's classic Live and Dangerous. Instead of replicating the rough energy and spontaneity of Live and Dangerous, the overall sound of Life Live is reminiscent of their '80s studio albums -- polished pop gloss. An obvious reason for the album's failure is the fact that Lizzy's songwriting in the '80s was not on par with their '70s work, as evidenced by such tracks as "Angel of Death," "Thunder &amp; Lighting" and "Renegade," among others. Older standards ("Jailbreak," "Are You Ready," "Emerald," etc.) fare much better, especially a slow version of "Don't Believe a Word," "Got to Give It Up" and "Black Rose," which features guest guitarist Gary Moore successfully replicating the track's unbelievable extended solo. Still, Life Live is for die-hard fans only; everyone else should stick with the superior Live and Dangerous. It's curious that Night Life -- the first album Thin Lizzy recorded for Mercury, the first album to feature guitarists Scott Gorham and Brian Robertson, the album that in many ways kicked off their classic era -- is in many ways a complete anomaly within their catalog. It's a subdued, soulful record, smooth in ways that Thin Lizzy never were before and rarely were afterwards. To be sure, the title Night Life is accurate but not in the sense of this providing a soundtrack for a night out on the town -- quite the opposite actually. This is the soundtrack for an intimate night in, either alone or as a pair, since it has moments ideal for either contemplation or seduction. There are still some moments of tough, primal rock &amp; roll -- there's the funky workout of "It's Only Money" and the nasty "Sha-La-La," both excellent showcases for Gorham and Robertson -- but they stick out among the jazzy, soulful whole, even if they never quite disrupt the mood. And it's that mood that's so appealing about Night Life -- it's a warm, soulful sound that resonates in ways Thin Lizzy's earlier records didn't. And it's not just because of the feel of the music, either, it's due to Phil Lynott's increasing growth as a songwriter. Much of this is quite sentimental -- especially the closing "Dear Heart" -- but it's never saccharine or sappy, it's big-hearted and effecting, best-heard on the gently propulsive, utterly addictive opener "She Knows" and the easy-rolling jazzy "Showdown." These may be the high-water marks on this album, but they're not the only highlights, they're just the most immediate, representative signs of the charms of this underrated gem of a record. 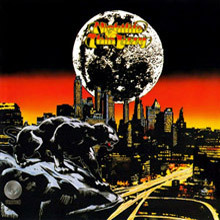 It's hard not to interpret the "fighting my way back" chorus of the title track on Thin Lizzy's fifth album as the band's way of bouncing back from the uncommonly subdued Night Life. If that record was smooth and relaxed, Fighting is a tense, coiled, vicious rock &amp; roll album, as hard as Vagabonds's toughest moments but more accomplished, the sound of a band truly coming into its own. There are two key forces at work. First, there's the integration of guitarists Scott Gorham and Brian Robertson, who get to unleash furious playing on every track here. It's hard not to thrill at their harmonizing twin-lead interplay, which is enough to excuse the rather pedestrian nature of their original tunes here (Robertson penned the boogie "Silver Dollar," Gorham the closer "Ballad of a Hard Man"). That's especially true because of the other development here: the full flourishing of Phil Lynott as a rock &amp; roll poet. Whether he's writing hard-charging rockers like "Wild One," jazzy Springsteen-isms of "For Those Who Love to Live" or combining both on "Freedom Song," his songs manage to be both mythic and commonplace, and when delivered by the vital, visceral lineup he has here, they're invigorating. Strangely enough, that leap forward as a writer is somewhat overshadowed by a triumph of the band, in how they completely steal Bob Seger's "Rosalie" turning it into their own anthem, but that again is a testament to the strength of this incarnation of Thin Lizzy, who truly begin their classic era with this dynamic LP. 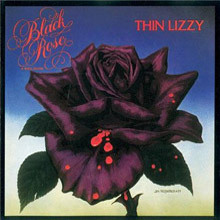 Black Rose: A Rock Legend would prove to be Thin Lizzy's last true classic album (and last produced by Tony Visconti). Guitarist Brian Robertson was replaced by Gary Moore prior to the album's recording. Moore had already been a member of the band in the early '70s and served as a tour fill-in for Robertson in 1977, and he fits in perfectly with Lizzy's heavy, dual-guitar attack. Black Rose also turned out to be the band's most musically varied, accomplished, and successful studio album, reaching number two on the U.K. album chart upon release. Lizzy leader Phil Lynott is again equipped with a fine set of originals, which the rest of the band shines on -- the percussion-driven opener "Do Anything You Want To," the pop hit "Waiting for an Alibi," and a gentle song for Lynott's newly born daughter, "Sarah." Not all the material is as upbeat, such as the funky "S&amp;M," as well two grim tales of street life and substance abuse -- "Toughest Street in Town" and "Got to Give It Up" (the latter sadly prophetic for Lynott). Black Rose closes with the epic seven-minute title track, which includes an amazing, complex guitar solo by Moore that incorporates Celtic themes against a hard rock accompaniment. Black Rose: A Rock Legend is one of the '70s lost rock classics. Thin Lizzy were originally conceived as a power trio in the image of Cream and the Jimi Hendrix Experience, but Eric Bell lacked the charisma of these groups' guitarists, forcing vocalist/bassist Philip Lynott to take center stage from day one. Despite his already poetic, intensely personal lyrics, Lynott was only beginning to develop as a songwriter, and the band's unfocused, folk-infused early efforts are a far cry from their mid-'70s hard rock glory. Recorded on a shoestring budget, their self-titled debut is surprisingly mellow; many songs, such as "Clifton Grange Hotel" and "The Friendly Ranger of Clontarf Castle," sound confused and unfinished. Quiet ballads like "Honesty Is No Excuse," "Eire," and "Saga of the Ageing Orphan" abound, while supposed rockers such as "Ray-Gun" and "Return of the Farmer's Son" fall remarkably flat. In fact, Lizzy only bare their claws on "Look What the Wind Blew In," a gutsy rocker that hints at things to come. Four bonus tracks (originally released as singles) were added to this CD reissue, and of these "Things Ain't Working Out Down at the Farm" is quite memorable, while the mournful "Dublin" contains Lynott's first great lyric. 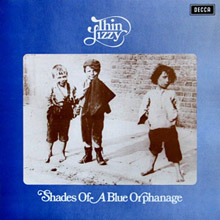 Named after the musicians' previous bands (Bell's Shades of Blue and Lynott and Downey's Orphanage), the disappointing Shades of a Blue Orphanage proved that Decca Records had absolutely no idea of what to do with Thin Lizzy. The complex arrangements of the title track and "The Rise and Dear Demise of the Funky Nomadic Tribes" are as overblown and disjointed as their titles. "I Don't Want to Forget How to Jive" is a lame, '50s-style rockabilly number, and "Call the Police" is only saved by Lynott's captivating tell-tale lyrics -- something at which he would later excel. Lynott is equally eloquent and personal on the piano-led "Sarah," written about his grandmother and not to be confused with the song by the same name written for his daughter seven years later. The album's few, truly bright moments are confined to the aggressive hard rock of "Baby Face" and the charming, descending riff of "Buffalo Gal," a melancholy, mid-paced ballad in the style which would become a Lynott trademark. Thin Lizzy was a great band and Phil Lynott, the songwriter behind it, was a kind of visionary, pioneering a poetic, working-class aesthetic later echoed in his American counterpart, Bruce Springsteen, while also leading the group's various lineups through a staggering number of great guitarists, highlighted by the triple-attack of the Jailbreak era. That said, they're the kind of great band that, unless you're dedicated, is perhaps better heard in isolated bursts, such as the classic Jailbreak or the peerless compilation Dedication, which successfully summarizes the band in 70 minutes. Often, their albums fluctuated between greatness and puzzling idiosyncratic detours -- the kind of thing you cherish once you're a fan, but the kind of thing that prevents many from converting in the first place. Which is why Dedication is such a welcome entry in their catalog, but for those who want more, without getting actual albums, the 2001 four-disc box set Vagabonds Kings Warriors Angels is a good bet, since it does whittle down a fairly extensive discography into a fairly lean, yet generous 73 tracks. 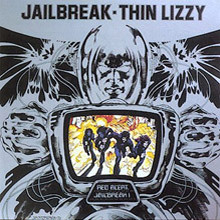 Apart from some album tracks from Jailbreak and Bad Reputation, there really aren't any truly great songs that didn't make it on Dedication, so this box will not provide revelations -- just other well-written, well-performed, eloquent hard rock, graced by Lynott's wonderfully unpredictable phrasing and consistently superb guitars. For collectors, there's a handful of rare tracks, usually from EPs and B-sides (the best of which is 1973 B-side "Cruising in the Lizzymobile," which is easily one of the greatest titles in rock), plus the requisite history and photographs. It does add up to a thorough, entertaining, and valuable history -- but probably not one necessary for those who already own all the albums; nor is it necessarily going to be satisfying for those already satiated by Jailbreak and Dedication, even if it does round up nearly all of the best of the rest of the albums.